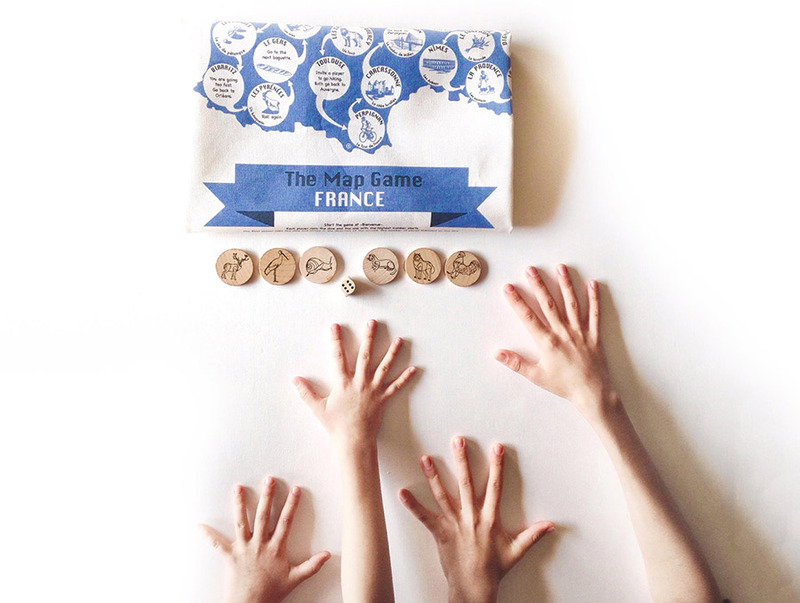 Discover our country’s beautiful landmarks, cities and regions in this family Australian Map game by Paris-Bourke. Are castles and baguettes more your style? Head to France and explore the granite coast of Brittany to the Island of Beauty -La Corse! 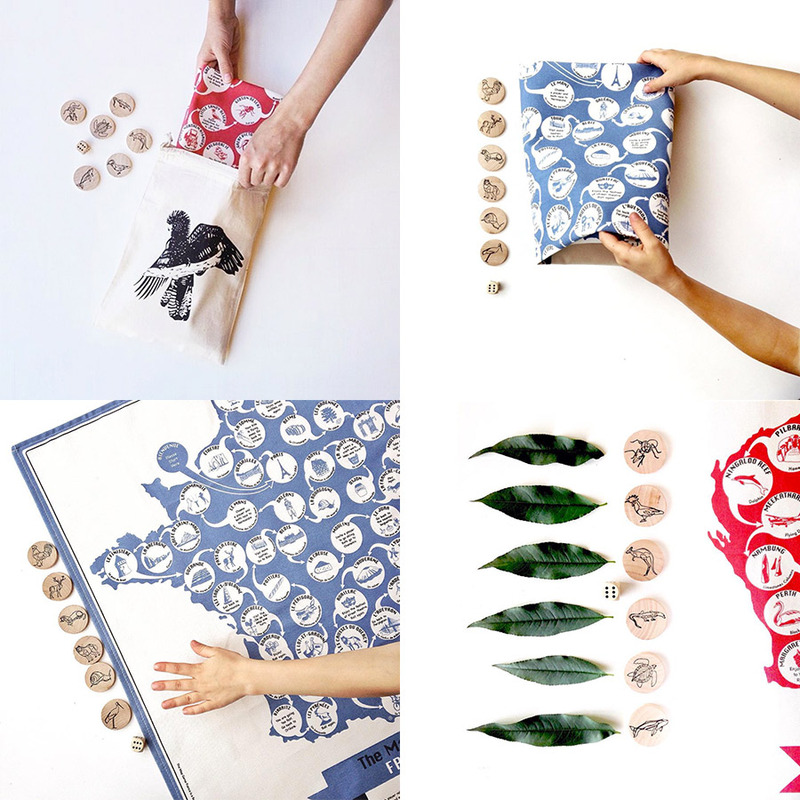 Made in Melbourne, Australia and printed on sturdy fabric using water based ink, this game is no-fuss and super easy to pack away. 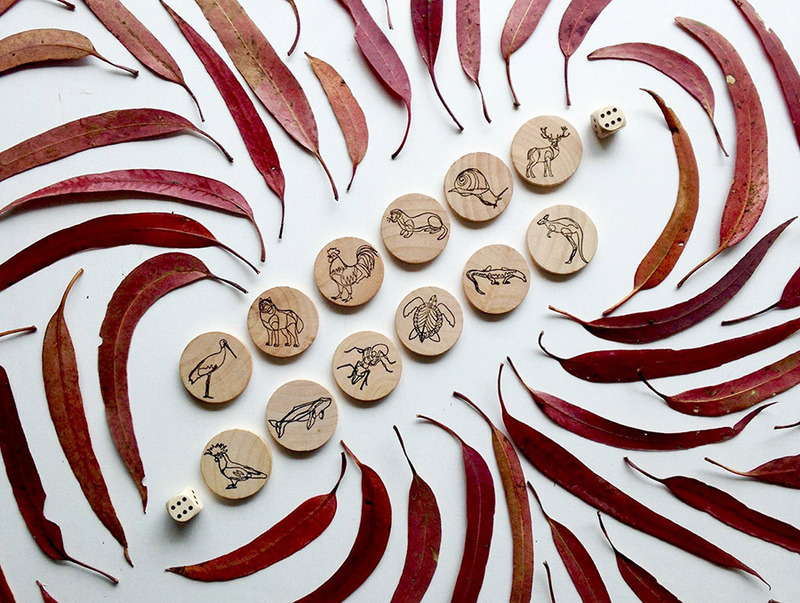 The playing pieces are also super cute wooden discs stamped with 6 of the countries iconic animals. 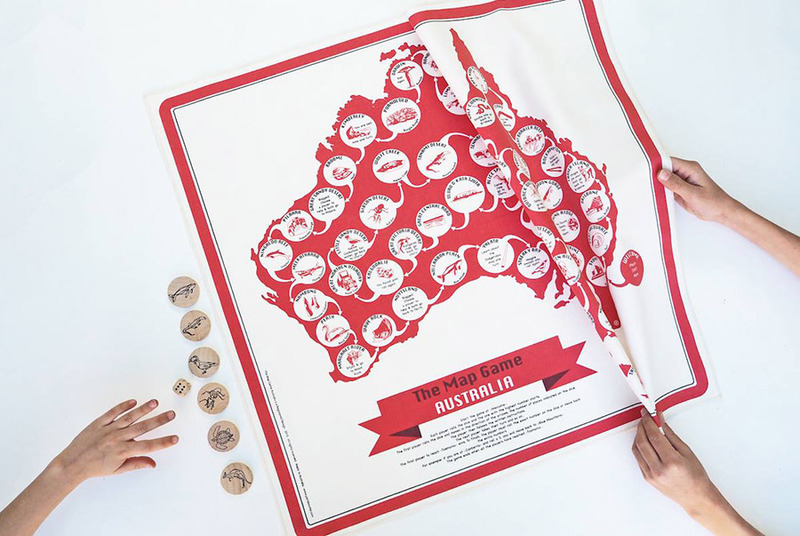 Be sure to pop by our Melbourne market next month to play for yourself, and take one home for your next family holiday!